Data aggregators are important because they distribute business data to publishing outlets such as Apple Maps and Google Maps. For instance, Neustar Localeze distributes business data to more than 100 search platforms, navigation systems and mobile apps such as Nokia and Yahoo! (Nokia, in turn, ensures that in-car navigation systems include business data.) On the other hand, Factual specializes in making real-time data available via mobile and also boasts relationships with publishers such as Weather Channel and Yelp. Proprietary information databases relate to businesses and consumers in the US & worldwide. Provides access through various sites including infoUSA.com, Salesgenie.com, onesource.com, & more. An innovator in harnessing the most important sources and uses of data to strengthen connections between people, businesses & their partners for 40 years. 10B data records updated monthly with more than 4,000 databases managed. A trusted business listings identity management provider for local search. Maintains authorized relationships with local search platforms, national and regional brands, channel partners and local businesses. Global data with local context. Real-time data stack builds and maintains data for 65M+ local businesses and POIs in 50 countries around the world. Data amplifiers are important for another reason. When you provide data to data amplifiers, you also create possibilities for the data to be used by emerging local search technologies such as wearables, beacons, mobile apps, smart houses and self-driving cars. When you share data with amplifiers, you ensure that the business will be found on such emerging devices, platforms or operating systems as they grow in popularity. There are 150M+ users searching for businesses on Bing Local every month. It is the default search engine for Siri, crucial for voice-activated local searches. It also powers sites like AOL, Huffington Post, Engadget & TechCrunch. In today's mobile world, accurate location data is more important than ever to maximize opportunities to drive traffic from search. The GMB listing supplies business data to Google Search, Google Maps, Google+ and Waze. Brands can manage local presence with pages for each location's identity and offerings. Allows a brand’s existing & potential customers to interact with the brand as it continues to capture more local searches and increase local awareness. An older, trusted online resource for discovering information and insights on local business. Each month millions of searchers discover valuable local business info such as reviews, phone number, hours, driving directions, website links and more. Millions use DexKnows as their local search starting point. With 697,000 visitors a month, DexKnows connects business with consumers, providing information such as phone numbers, driving directions, reviews, plus unique coupons and offers. Citing a mission to help local business grow, it is the largest local ad platform in the U.S. and the largest local search, media, and advertising firm in North America. Over 60M consumers each day discover and compare local businesses on the platform. Its founding mission is to help consumers find local businesses by crowd-sourcing reviews. There are currently 77M+ local business reviews available. Over 142M users monthly discover valuable information about businesses in their area. At 55M+ users it is the leading location-based social network. Users may retrieve details on local businesses, receive recommendations, or check in to locations publicly. With 70M+ recommendations & over 7B check-ins to local businesses. Data Enhancers are premier directories that users actually use, and they are the future of local presence management. No spam here, these are trusted sites with unmatched page rank and high traffic that satisfy our stringent Domain Authority requirements. Data Enhancer directory offerings are constantly monitored via our own proprietary algorithms. Analysis of data and quality factors ensures Advice Local maintains only the very top performers. Promotes local deals to local consumers. The unique search algorithm enables consumers to see what's trending in their own hyper-local Town or Community. A platform for responding to members’ home or health care needs. An estimated $10B—$15B in transactions occur between 5M members & service providers annually, leading to $315M in revenue. SEO People LOVE the BBB. For more than 100 years, BBB has helped people find and recommend businesses, brands, and charities they trust. What Makes the BBB Member Profile Link So Great? Think two words -- Trust and Authority. The BBB has a High Domain Authority (the BBB is DA 91), high domain authority, is a followed link and it’s a .org link for link diversity. With BizExposed, Each listed business has an entire customizable page which can contain website and email address, business logo, along with a short description of the business.. As this directory is currently being heavily indexed by major search engines in a number of countries, this is a great choice for those international businesses. Fast-growing directory where all listings have been added by the business owner or company agent. Designed to be easily indexed by search engines to promote business listings for a specific city & state. Brownbook has become is the worlds largest Global Business Listing Database, and its still growing fast. Brownbook lists over 35 million businesses in more than 220 countries. Small businesses can also enrich their listings with additional text, images, videos, and social links through the website. On the forefront of bringing local communities online. Offers businesses a direct connection to their growing network of readers via an SEO-optimized, hyper local listing. Integrates with other platforms to connect & engage with consumers. One of the largest online catalogs in the United States with over 1.5M businesses currently listed. Facilitates connectivity between local businesses and the 7,000+ Chambers of Commerce across the globe. Features 14M+ businesses listings. Connects online searchers with local businesses. Features the market's highest concentration of buyers from all local industries. There are 1.2M+ site visitors (with 10M+ pages views) monthly. Local professionals review local businesses on 1,200 local websites in 32,000+ cities. A map service made for travelers, covering every city and country globally. It works both online and offline, helping users make decisions on what to see, where to eat, what to do, etc. Over 76K unique US users visited in the last month. A highly trafficked consumer-facing website that allows independent small businesses to provide search engine optimized profiles for a qualified, local consumer audience. A website providing a powerful yet easy-to-use interface to create incredibly interactive maps of anything. With beginnings in mapping communities, it is becoming the destination site to explore (and create) the most interesting maps on the web. Publishes business listings across the most effective outlets. Improves SEO and PageRank. More than 8M businesses find new customers each day by listing their business. Aims to provide complete information to users via a fun and informative experience. Constant user contributions enhance the information provided to all users. Global reach has 100M+ businesses listed in over 240 countries (and 50 languages). Aims to connect companies and customers. Covers 37 countries. Users can check contact details and opening hours of companies, plus read and write reviews about products & services. Quotes for service may also be requested. Millions use it as their local search starting point. With 697,000 visitors a month, it connects business with consumers, providing information such as phone numbers, driving directions, reviews, plus unique coupons and offers. Connects businesses to customers via social media. Updated business information automatically posts to followers on social media sites. Integrating the communication between business and the consumer sets them apart. The most comprehensive and accurate repository of business data on the planet helps identify and connect valuable business relationships. More than 30,000 global data sources ensures data into insights. US Online Business Directory - Directory of over 18 million business listings in the US. The site works like a wiki for business pages. Users can update any company info and keep a track on changes and influence their rankings by interacting with the site. Connects consumers with local businesses across the major consumer-oriented categories. From plumbers to lawyers, medical to automotive, helps users find information for millions of local businesses nationwide. Helps small businesses connect with consumers who are searching online for products and services in their area. The federal government is the world's largest consumer of products and services, spending in excess of $400 billion annually. Small businesses in the U.S. earn approximately $100 billion of those federal dollars. 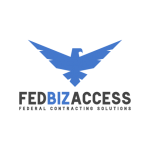 FedBizDirectory is the nation's premier directory for small businesses that want to sell to the federal government. Every day, FedBizDirectory pushes small business data to connect to billions in federal contracts. Large global directory of businesses, organizations, clubs and communities with over 18M listings, including 3M+ in the USA, 2M+ in UK, and 3M+ in Australia, Canada & New Zealand. Providing search, social reviews, directions, phone numbers and more for community-based local search. Used by over 600,000+ people (and growing) each month. US and UK based. At 55M+ users it is a leading location-based social network. Users may retrieve details on local businesses, receive recommendations, or check in. With 70M+ recommendations and over 7B check-ins to local businesses. Helps users find local business deals, promotions and events in real-time. Business listings and consumer reviews on local businesses nationwide. Searchers may easily bookmark listings. A place for small business owners to announce what makes their products and services special. Over 69M businesses reach 1.6M+ active users each month in 38 countries. Provides business listings for all 50 states with local, neighborhood-based listings for 51 major cities. Users find business NAP data and deals, content, and videos. Powers over 100M listings for business, airports, railway stations and museums globally, covering 70+ countries. Consumers are able to search for a company or person anywhere in the world. Allows anyone with digitally bound content with the ability to upload and distribute publications worldwide. Over 30M documents are available to the over 100M+ visitors per month, and 20,000 publications are uploaded daily. Offers millions of listings, reviews, recommendations and deals for users seeking information on local businesses nationwide. Aims for the social share aspect of review information for users. A place where users can access the uncensored, honest feedback on millions of businesses shared by other users. Users can also quickly discover thousands of money-saving specials and promos in every major U.S. city. Provides address, phone, hours of operation, map, photos, videos, special offers, reviews and more. Serves the US, UK, and 18 other countries including China, Germany and India. A top U.S. directory powered by Keyword DNA and patented web indexing. 20M+ monthly users enjoy targeted, relevant local SERPs. Hyper-relevant local results include reviews, links, special offers, directions, maps & more. Crawls, extracts, indexes, & augments data from the web and exchange networks. Has a deep data index of 29M businesses, 55M business contacts & 112K neighborhoods, plus 220M people profiles & millions of contextual events. Keeps a user’s whats-and-wheres in one place with bookmarking. Provides thousands of local business listings in 50 states. Makes it easy to find phone numbers, addresses, maps, driving directions, coupons & more. Analyzes online reviews of small businesses to provide ratings. Online business listings & ratings help thousands of users each month locate the best small businesses. Attracts customers through organic search results of Google, Bing, and Yahoo! Search. Powerful algorithms help find local businesses and feature a map, reviews, & contact info. In 33 countries including US, UK, China & more. Top Rated Local® gathers a business' ratings and reviews from verified review sites. Afterwards, Top Rated Local ranks the business based on their overall rating score. This makes it fast and easy for a consumer to find the top local businesses in their geographic area. Owned by Search Initiaves, MyLocally drives high quality calls to businesses from 75K+ customers daily. Consumers share local business reviews to engage with the best businesses in their communities. Users can rate businesses in various categories, including restaurants, salons, dentists, mechanics, & more. Helps bring customers and businesses together by providing free and accurate listings of local businesses. Information is managed primarily by the community of users. Features over 14 million companies and reaches almost 5 million visitors per day. At approximately 1.8M+ members, it is growing by thousands a day. Dedicated to listing consistent, accurate opening hours for public and business locations. In 17 countries including US, UK, Canada, France, and Russia. Over 570K locations are listed. Makes finding local businesses easy, and searchers can connect with businesses instantly. Ensures top 50 directory syndication and adds businesses to data aggregators. Business info curated by the world. With 1.4M+ companies and over 40K topics. A platform for conversation, constantly being updated for insights into 100s of industries. Europe-based, it provides a community to discover, review, & share local business favorites. Includes recommendations and reviews for local cafes, shops, plumbers, salons and more. Helps customers to find businesses country-wide in 60 countries. Expands local business and service horizons by making listings searchable by popular search engines. List of all USA companies organized according to state. Created to help users find a desired business, phone number, address and opening hours. Provides contact information for businesses and people in the United States. Business owners can update their listings quickly to provide consumers with the most current details about their business. A huge collection of over 13 million locations that anyone can edit. Bulk data is now updated within a few days of each month's release. One of the first local search mobile apps and an established leader in the mobile search space. Continues to grow its user base. Helps local businesses like dentists, hair stylists and mechanics present themselves. Possesses information for 5M+ businesses worldwide. GPS Accelerators ensure that customers can find client locations. We submit client location details to the most important GPS mapping platforms, and in the correct categories in GPS POI databases. Our tool directly syndicates business information to powerful mapping platforms with more than 80,000 sources of data. We have connections to all the major GPS devices like Garmin, TomTom, and Magellan so we can easily add or edit business location details. Where GPS users gather to share interesting locations and talk GPS via discussion forums. Offers a collection of POI files, icons, and sounds for United States and Canadian users. Provides the Speed and Red Light Camera GPS POI Database for North America, alerting drivers to road hazard areas and reminding them to reduce speed. Provides access to a company’s basic geographic information to the entire organization. Includes Customers map, and maps for Network Viewers and Service Territory. Accessible via web browser or native client. Provides navigation services worldwide. With 11,500 associates in 60 offices around the world, has delivered more than 100 million products, most of them enabled with GPS. Enables people, enterprises, and cities to harness the power of location globally. Powers rich and real-time location experiences across 1B+ connected devices with 2.7M+ map updates daily. Leveraging crowd-sourced data from over 850,000 contributors globally, it continually optimizes navigation information to improve the user experience. An editable map of the world that powers map data on several websites, mobile apps, and hardware devices. Complete road travel planner helps travelers drive to the world’s most interesting places. Streamlines discovery, planning, booking, and navigation into a platform that syncs seamlessly across devices. A global leader in navigation and mapping products. Helps millions globally make smarter navigation decisions to keep moving towards their goals. World's largest community-based traffic and navigation app, directing customers to local businesses by driving them there. Drivers share road and condition information in real-time. World’s oldest & largest independent website directory. Online since 1995 and committed to providing all business websites equal footing, with a contextual search unmatched by anyone. Provides travel & navigation products to 130M+ users globally to guide each and every person on the move. More than 200,000 business customers include companies such as Amazon, Honda and more. Vertical Directories contain niche-specific listings categorized by industry. Businesses listed on niche citation sites are more likely to found in search because it’s easier for the robots and algorithms to understand what the business is, and what it offers, on these authoritative niche directory sites. Local Verticals are currently available for Healthcare, Legal, Home Services, Financial Institutions, and Restaurants. Provides reviews and ratings for patient experiences with healthcare professionals, including physicians, hospitals, dentists and more, in the United States, Canada, Europe and other world regions. Offers listings in major consumer oriented business categories in a user-friendly format. Covers 52 major cities. Provides over 2.6 million Doctor ratings and reviews with more than 161M people helped. A more convenient, painless way to connect consumers with US doctors. Features 880,000 physician listings findable by specialty, location, insurance and more. Maintains an unbiased location to share experiences on doctors and medical businesses in the US, UK, Canada, Ireland, and India. Free from ties to medical businesses, physicians or patient advocacy groups. Provides legal information, lawyer profiles and a community to help users make the best legal decisions. Connect and share with attorneys around the world via attorney information provided for over 19K locations. The fastest growing legal directory to quickly and easily find an attorney. Detailed listings for over 117,000 lawyers throughout the United States specializing in all types of law. Organized the way attorneys organize themselves to promote the old-fashioned way of finding an attorney. Recognizes leadership in specialty bar associations and certification programs. Allows real estate and legal professionals to network with one another on a county-by-county basis, throughout the U.S.
Connects visitors with lawyers in their area to assist with legal problems via an easy-to-use interface. Find the right attorneys all in one place, with informative profiles and frequently updated legal news. Clients and fellow attorneys may publicly comment and review the legal work performed by an attorney. Network for attorneys to connect with each other and increase referrals. Advanced search tools, full profiles and client reviews make discovering the right attorney quick and easy. Online marketplace for services from 94K+ service professionals. Users post jobs, receive bids from contractors and service providers. Site automatically sorts bids to determine the lowest bid for each job. Offers suppliers and directory users unique opportunities to connect. The first marketplace for remodeling. Gathers and analyzes information on 3.5M+ licensed contractors and 100M+ million improvement projects nationwide. Manages remodeling and construction projects valued at $2B+ year. Connects consumers with local businesses across the major consumer-oriented categories. From plumbers to lawyers, medical to automotive, helps users find product, location and service information for millions of local businesses across the nation. The world’s largest residential design database. Connects millions of homeowners & home improvement professionals across the US & globally in a uniquely visual community, with 25M+ US visitors in the last month. Powered by the largest online contractor directory to help homeowners locate the best contractors in their area. With over 1.8M architects, plumbers, roofers & related trades in the US and Canada. A rapidly growing promoter of international trade, this global B2B platform connects thousands of buyers & suppliers. 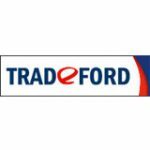 Provides importers with quality information on products, exporters, manufacturers & more. Human editors curate listings for financial and business related companies. Offers resources and information on accounting, banking, brokerages, investment, insurance and more. Helps small business owners and individuals search for an accounting firm in their locality. Allows flexible searches for an accountant by location, industry, services offered and more. Directory listings for finance and business fields. Covers 10 countries including US, UK, Canada, India, Switzerland and more. Comprehensive database of the CPA profession with listings in every state. A centralized platform where the public can learn about CPAs, find services, and write and read reviews – since 1999. Premier web directory for accountants. Find accountants locally with 51,861 U.S. accounting firms listed. A database of US companies, company reviews and opinions for everything you need in one place. Over 60K listings for US accountants & CPAs including useful onsite articles. Launched in 1999 to make restaurant reservations online. Customer base includes 30,000+ restaurants in the U.S., Canada, Germany, Japan, Mexico and the UK. Has seated 530M+ diners. The best restaurants across the US based on rankings from leading ranking platforms. Find restaurants by state and city, with info, coupons, menus, and ratings. Worldwide guide for restaurants, vineyards, events & food products in 14 European countries & 30 major cities. A link between diners and restaurants for sharing info and appreciating food & culture. Restaurant listings and reviews to help diners searching for top rated local restaurants. Covers 42 countries including US, UK, Canada and more. Dedicated to providing the best hand-curated restaurant guide in America, listing only independently-owned businesses. Helps find favorite restaurants located in U.S. metropolitan areas quickly and easily. Engineered to make searches as effortless as possible.